H15 Upon disassembling the turret ring I was surprised to see the very good condition of all the components. there was very little rust and there still was plenty of original grease. 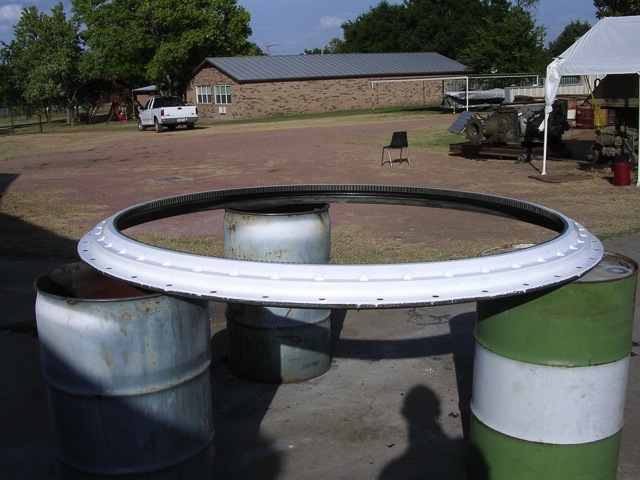 This is the outer ring. There were 150 balls 1.250 in diameter. Here we tested some white epoxy paint.